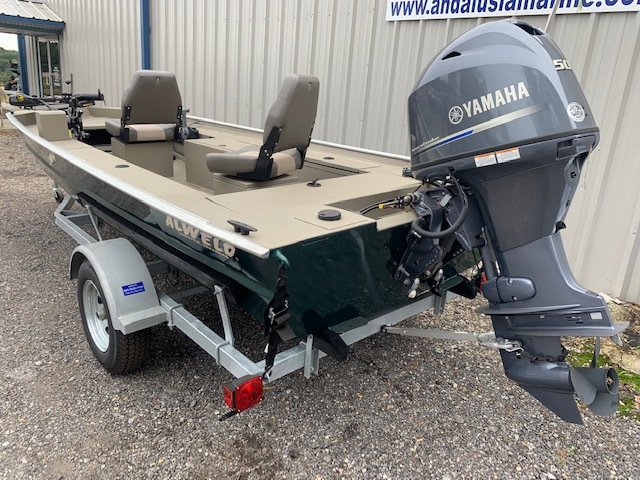 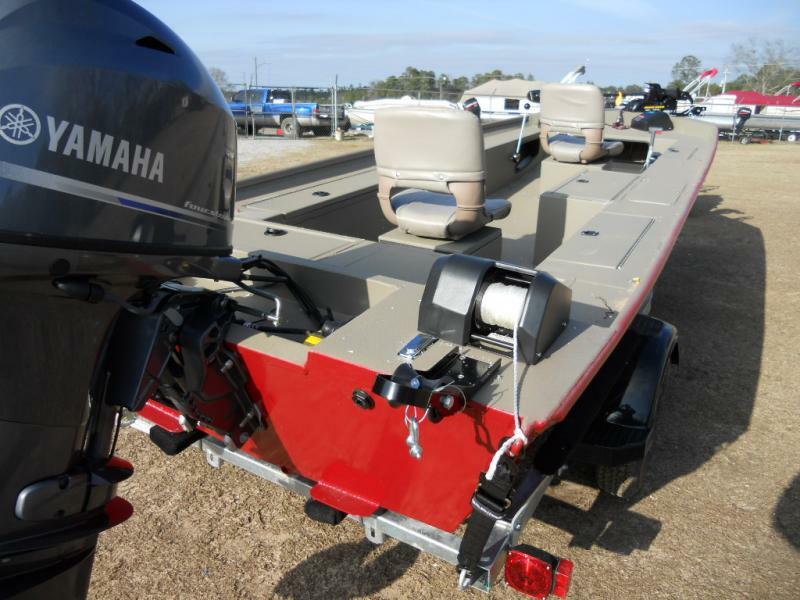 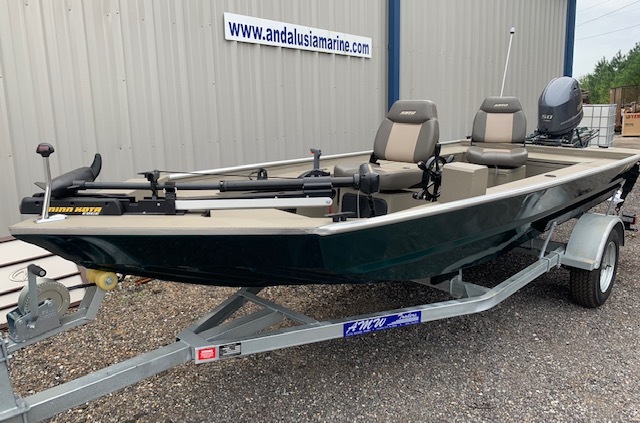 Buy with confidence from Alweld's largest Panfish boat dealer! 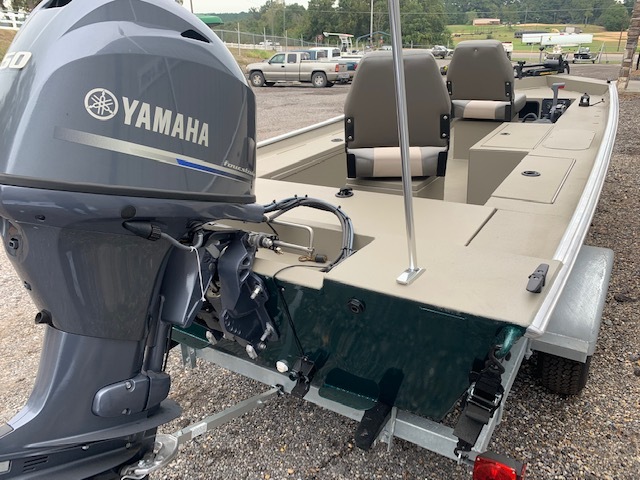 STANDARD FEATURES INCLUDE: Built in 10 gallon fuel tank with front gauge, tachometer, aerated livewell, 45lb Minnkota trolling motor for ease of use, Garmin color fishfinder with GPS, automatic bilge pump, nav lights, extra thick cushion seats, locking battery compartment with two marine batteries, locking rod box, locking storage box, splash well, premium control box with kill lanyard, 12v plug, switch panel, available with either carpet or nonskid (shown here), and galvanized drive on trailer with large 14" wheels. 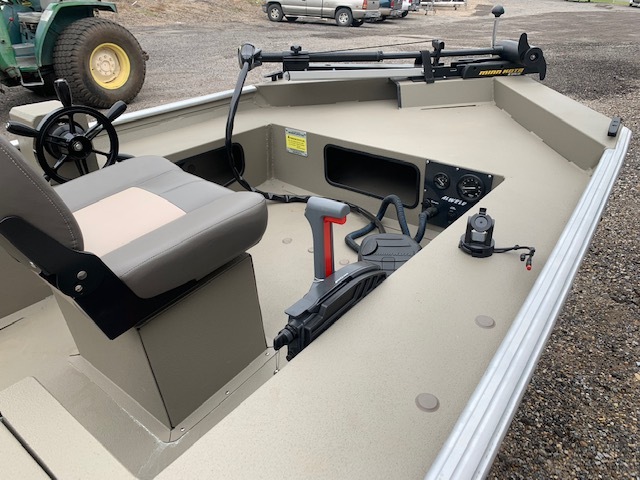 (ABOVE and BELOW) shown with optional carpet, livewell delete (no livewell), and 3rd pedastal seat. 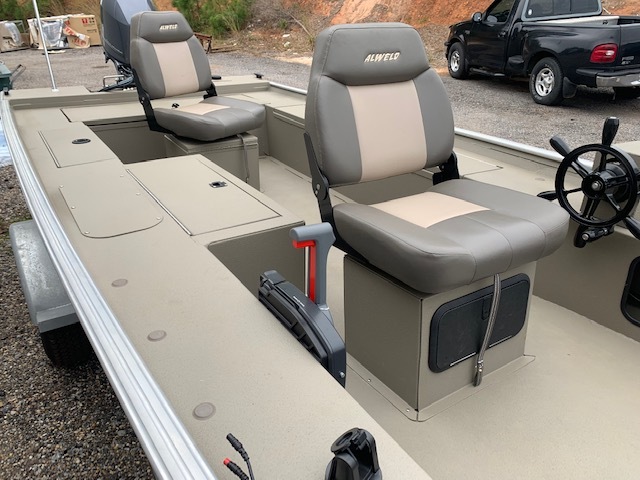 STANDARD FEATURES INCLUDE: Built in 10 gallon fuel tank with front gauge, aerated livewell, 45lb Minnkota trolling motor for ease of use, Color fishfinder, automatic bilge pump, nav lights, extra thick cushion seats, locking battery compartment with two marine batteries, locking rod box, locking storage box, splash well, premium control box with kill lanyard, 12v plug, switch panel, available with either carpet or nonskid , and galvanized trailer with large 14" wheels.